Maria has been a community organizer for more than a decade and is currently a bilingual organizer with Faith in Texas. She primarily organizes in low-income Catholic and Hispanic churches and has a long history of advocating to protect the undocumented community and helping new citizens become civically informed and engaged. Maria’s passion, dedication and commitment to the immigrant community is rooted in her and her family’s journey through the immigration system. Before joining Faith in Texas, Maria spent 15 years working in bankruptcy litigation with Fortune 500 companies until she transitioned from the corporate world and began defending human rights and promoting civic engagement in 2007. 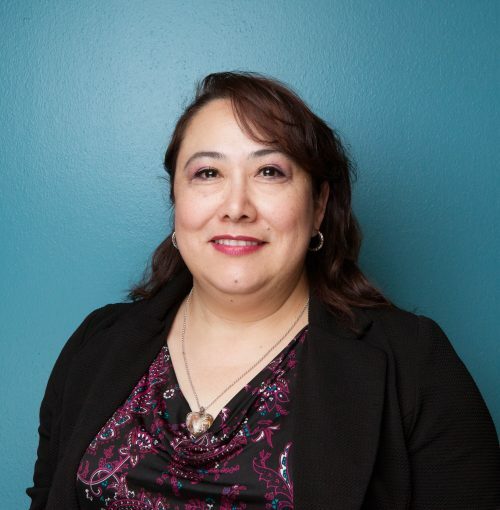 In her professional career, Maria is at the forefront of equipping the most vulnerable members of the community with resources and knowledge to lift their voices and recognize their power. Maria’s devotion to defending human rights has led her to work with many local and national non-profit organizations such as Faith in Action and LULAC, and she is a co-founding member of Reform Immigration for Texas Alliance (RITA), a project of the Border Network for Human Rights, which is the leading grassroots statewide alliance for pro-immigrant organizations and allies. Endorsement: I am an active member at St. Matthew Church in Arlington, TX for almost 11 years. I met Mrs. María Robles approximately 10 years ago and I was very interested in the information she always provided at community meetings. Her dedication and passion for defending the rights of immigrants against the injustices that were committed against them prompted me to follow her steps and learn from everything she shared with the community. When Ms. Maria began her new journey with Faith in Texas, I was even more motivated to be part of the organization to help her help others. Thanks to her, we learned to defend ourselves from injustice by knowing our rights in this country. She is an example to follow because of her dedication, strength and humility in defending whoever asks or needs it. Nobody comes into anyone’s life without some reason; I’m proud to have met her. She is not just my friend, she is part of my family.